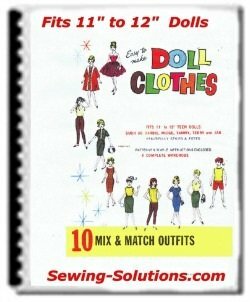 Here you will find your complete set of free Barbie sewing patterns which consist of 10 really cute outfit pieces. These patterns can create over 10 Mix & Match Outfits. Each piece is complete with the patterns and instructions needed for sewing and putting them together. 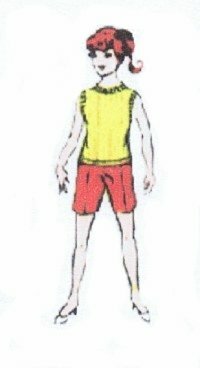 You can either draw the barbie dolls clothes patterns out yourself or purchase the ebook and have them ready to print and use. Either way this is a great collection of Barbie doll clothes patterns and you don't want to miss this set. 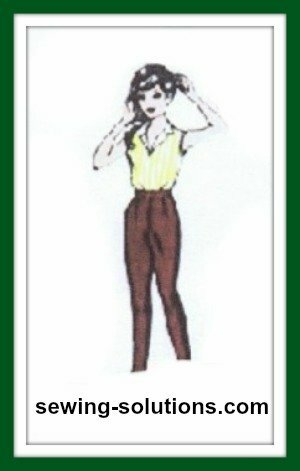 These can be made up for any 11 ½ inch fashion doll and when completed you will have an entire wardrobe. If you are thinking of Christmas or birthdays this will be the perfect gift for you doll lover. Using your left over fabric is really economical and thrifty. You can make up these 10 mix and match sets in no time and create a wardrobe like nobody else has. 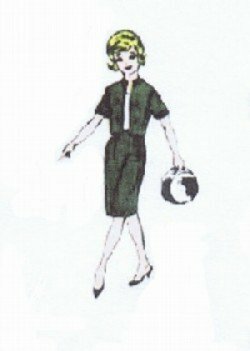 There are also many free Barbie sewing patterns here. These will fit such dolls as the teen or fashion dolls like Barbie, Midge, Tammy, Terry and/or Jan. Just as long as they are in the 11 inch to 12 inch range. Always remember when sewing doll clothes you will use a small ¼ inch seam allowance. This is approximately the width of one side of your sewing machine foot. Each one of the pieces in these free Barbie sewing patterns are beautifully styled and fitted for the dolls. Lots of imagination when sewing up will create the most unique wardrobe. Don't forget to be creative and use many prints, fabrics, overlay, lace and trims to dress up the designs. Pattens and sewing instructions are included all that is needed is your imagination. No need to draw out the patterns if you don't want to. Printable patterns for the Mix and Match Wardrobe in this set include: Full size printable patterns in an ebook.